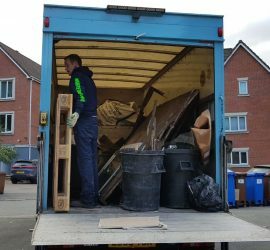 Let us take away the hassle of getting rid of your rubbish and hiring and loading a skip. Our rubbish removal is cheaper than hiring a skip and we do all the hard work. 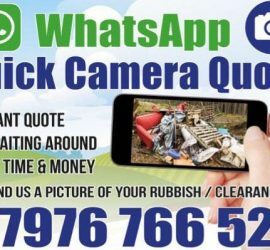 Getting rid of rubbish, sofas, sheds, garages, green houses, old appliances, office waste, garden waste, trade waste, household waste has never been this easy. We are fully insured and offer full compensation cover. We are a fully licensed waste carrier, avoid a low cost fly tipper who dumps your waste. 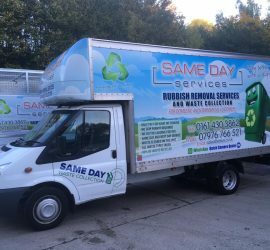 You will be liable for a £50,000 fine and up to 12 months in prison if you hire a low cost man and van service or waste clearance company and they dump your waste.